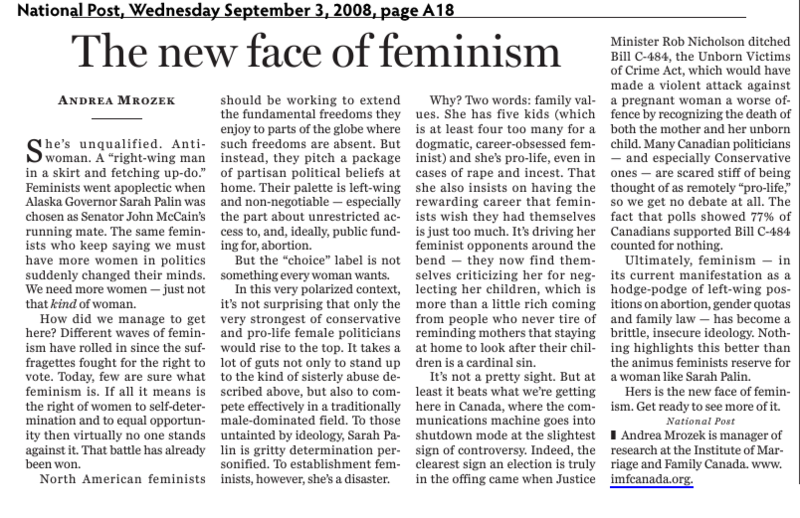 In 2009, Arthur wrote a report for the now-defunct Pro-Choice Action Network (“Pro-CAN”) entitled Exposing Crisis Pregnancy Centres in British Columbia. With the help of government funding via a Status of Women Canada grant of $27,400 and the proposed research goal of “expos[ing] the anti-woman and anti-feminist agenda of CPCs,” Arthur eventually issued her assessment of CPCs. Her report claimed, in short, that CPCs employ unethical tactics and strategies that hurt and deceive women. Unfortunately the court found that the report was so unclear in its attributions of wrong-doing that a reasonable person reading the report wouldn’t necessarily think that the Vancouver and Burnaby CPCs were guilty of committing those particular ethical breaches. I wish that they would have. There is nothing quite so malicious as trying to take down the only centres that actually offer women support in crisis pregnancies. This is (or rather should be) a point of intersection for pro-lifers and pro-choicers. It goes without saying that not every woman is excited to be pregnant, and there really ought to be help made freely available. Right now our only free (government-sponsored, sanctioned and paid for “choice”) is abortion.